Néstor began his artistic career in the National Conservatory of Dramatic Art, where he worked with renowned professor Lía Sirouyan, who introduced the Jaques Dalcroze method in Argentina and developed a discipline known as ‘musical rhythm’. For Néstor, this experience was essential to fulfill his need and desire to explore and express through movement the stimuli induced by music. Néstor also took classes with Néstor Romero at the Center for Artistic Expression in Buenos Aires, and had lead roles in many theater and musical plays. I was born in Argentina. Through my family and the community that saw my upbringing, I have been intimately involved with Tango all my life, and have been an Argentine Tango dancer, choreographer and instructor for over 30 years. I profoundly love Tango dancing, music, and culture, particularly that of the Golden Era. I am a milonguero. As an instructor, I like to put emphasis on musicality and the dance partner's connection to each other and the music, stressing that Tango is a social dance framed by a specific set of values that are expressed through its codes of etiquette. I encourage my students to develop their ability to improvise on the dance floor. After the training you receive in my classes, dancing becomes an easy game to play. With these elements, I aim to create a unique atmosphere through which students can experience what a Milonga in Buenos Aires is like. Love and passion, knowledge and experience, moulded with the art and vocation to pedagogy. Teacher, dancer, choreographer and dance companies director, Olga Besio has nearly thirty years of prestigious tango career behind her, and all her life dancing tango. She was born in Buenos Aires, between the centre and Balvanera. She studied dance, arts and philosophy achieving four titles as teacher (teacher of arts, national teacher of paint, national professor of sculpture, national professor of native dance and Argentine folklore, with a degree in philosophy at Buenos Aires University, faculty of literature and philosophy). He started dancing tango in his early youth among other young men at the practice studio of Crisol and Verné. Later he attended several carnival balls organized at local clubs such as San Lorenzo de Almagro. Since then he never stopped dancing and attending the most important clubs of his time, like Club Unidos de Pompeya, Club Huracán, Club Social y Sportivo Buenos Aires, Club Social Rivadavia, Palacio Rivadavia, Club Almagro, Chacarita, Premier, Editorial Haines, etc. In his youth he often danced at the main tango bars of Buenos Aires, such as Picadilly, Sans Souci, Montecarlo, and many more. “My classes aim to instruct and encourage the dance of Tango Salón Tradicional Argentino, a knowledge that I have acquired over more than 30 years of study with various teachers such as: Miguel Gutierrez, Eduardo Arquimbau, Mingo Pugliese, Pepito Avellaneda, J.C. Copez among others, with whom I not only learned to dance but also to teach dance, scene and choreography. In my classes we work everything you need to dance tango on a dance floor: posture, musicality, balance, cadence, styles, different orchestras, lead and follow, adornments, codes, floor craft, etc. 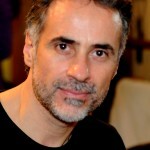 In 1995 he started to dance tango, he was formed with renowned master on Tango Salon. In 2000 he moved to Japan to teach an dance Argentine Tango. Cristina y Daniel met and started to dance together in a dinner show. Subsequently, in 2008, they went on to participate in the “Metropolitan Tango and Milonga Championship” and also in the “World Tango Championship”.